Edible and useful plants to survive in an extreme situation. 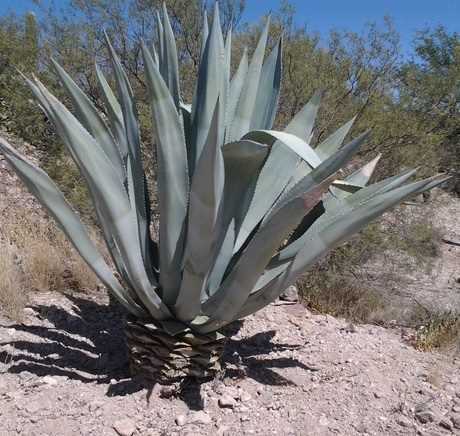 Agave: useful to treat burns, create fabrics and ropes (using the fiber extracted from the leaves, called sisal). From these plants are created different types of drinks like the Tequila. Their shoots can be eaten after cooking and the green stems roasted can produce a good nutritious sugar. Aloe vera: this plant has many medicinal properties (cicatrizant, analgesic, regenerative, detoxifying, anti-inflammatory, antipyretic, fungicidal …) and it’s also a great natural toothpaste. 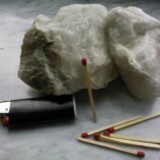 Horseradish or Armoracia rusticana: is known for its very intense and almost suffocating smell. It is edible and can be used for flavoring foods. For his violent taste only a strong palate can hold it, a bit like the hot pepper! The roots dried and reduced to powder may be used as a good antiseptic. 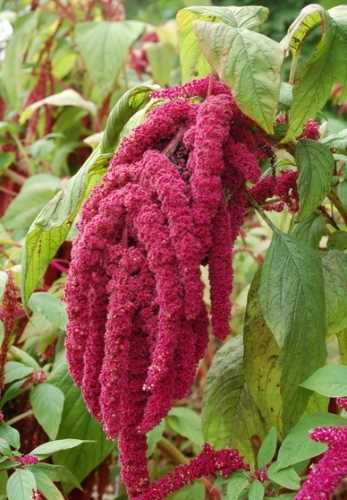 Amaranth: its grains are edible. The seeds produced by this plant can be used to produce flour. With this plant you can make a salad. To decrease its bitter taste boil before eating. 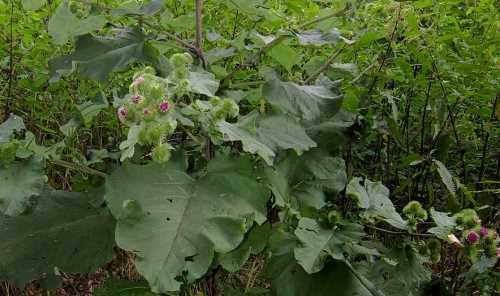 Arctium lappa or greater burdock, edible burdock or simply lappa: the tender leaves and greens can be cooked and eaten, they are very vitaminics. The roots are rich in carbohydrates. You can peel the outside and boil them changing the water several times, in alternative you can fry them. 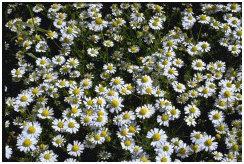 Chamomile or camomile: excellent as an analgesic, sedative, calming, it is also a good antiseptic and anti-inflammatory and reduces the pain. From the flowers you can produce infusions and exploit their multiple effects. Gather the flowers and let them dry in shady place, then you can prepare an infusion. The infusion is accomplished by pouring the boiling water in a vessel, that contains the chopped herbs. Leave to stand for a few minutes, then filtered and finally drink. 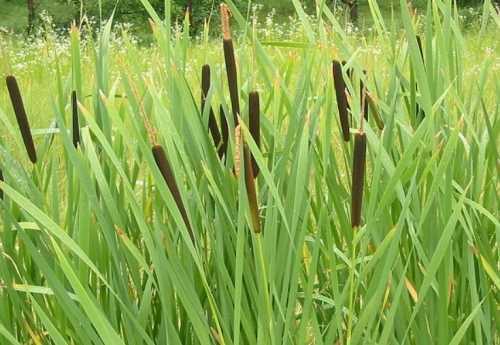 Typha latifolia, broadleaf cattail, bulrush, great reedmace or cumbungi: you can find this plant in humid or swampy environments, in presence of rivers, marshes or ponds. Its rhizome is rich in starch and from it is obtained an excellent flour. This plant was already known for its edibility since the Paleolithic. 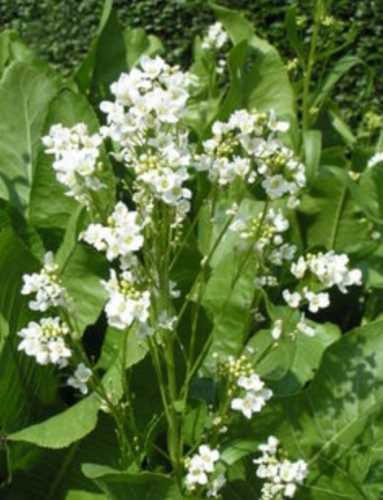 It provides year-round food and is considered one of the most important among the wild plants. With its flour you can make bread. Often among its leaves you can be find nests of aquatic bird and therefore eggs. The shoots that grow during the spring can be eaten. Before eating them peel and cook. Rumex Acetosa or sorrel: the tender leaves can be prepared the same way as spinach. The sap which is obtained by rubbing the leaves between them, can be used to soothe the irritation from nettle. Allium schoenoprasum or chives: consume fresh. The green leaves are excellent to flavor and are rich in nutrients (vitamins, minerals, fats and carbohydrates). The smell of the bulbs is a mixture of onion and garlic. If they have another smell you don’t eat them, there are many plants that look like the chives but are others species, some of which are potentially poisonous. Nymphaea: the seeds can be used to make flour. The roots and tubers can be cooked in the same way as potatoes. Green tender leaves and the top of the flowers can be cooked in steam. 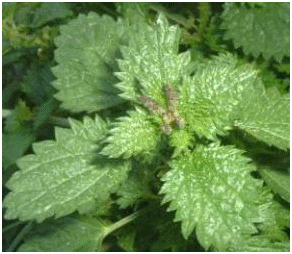 Urtica dioica or nettle: tthis plant grows throughout the year and can be found in Europe, Asia, America and Africa. The hairs on the stem and the leaves are urticating and to gather them you must protect your hands, for example with a t-shirt rolled around the fingers. The irritant power can be eliminated by boiling or drying. With nettles you can get broths, boiled and very nutritious soups. Clean them before boiling. With the nettle plant you can obtain excellent infusions with effects: mineralizing, tonics, depuratives, toning, diuretics, anti-anemics, alkalizing, detoxifying, emollients and digestives. Based lotions nettles are also used to prevent hair loss and dandruff. Juncus effusus, soft rush or common rush: you get a good flour rich in sugars by drying and grinding the seeds and green stems. The rush is rarely attacked by pests and a very strong plant. Juniperus: berries and inner bark are edible. Its wood can be used to make bows and sticks to make a fire, also its bark is an excellent tinder. Some species are also used for food purposes, for example in Asia the bamboo shoots are consumed. The shoots have a high energy and nutritional value and they grow very fast, so much that many scientists have called them: “The food of the future“. 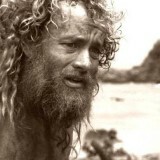 Thanks to the hollow present in the bamboo canes this wood floats very well, so you can build a good raft. Cut a bamboo trunk is very difficult, even with a knife, to cut down it you have to burn the base to weaken it. 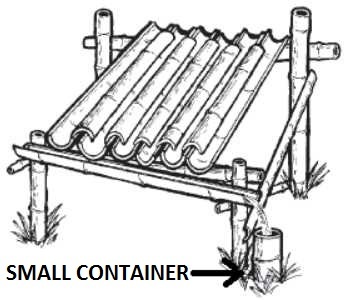 With the bamboo canes cut in half, you can build a roof, placing a horizontal gutter to collect rainwater in a small container. 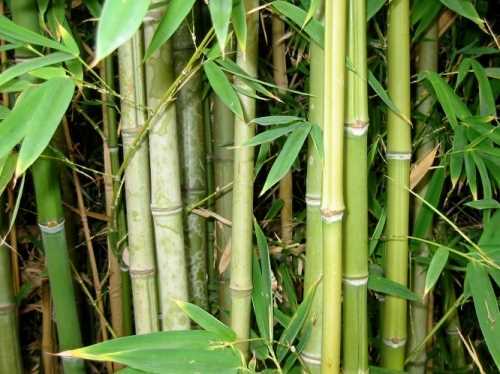 A green bamboo cane can contain water, fold the cane for drinking. 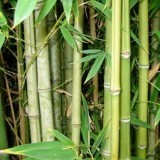 With the bamboo you can also make ropes. Prunus spinosa, blackthorn or sloe: this plant is located in Europe, Asia and Africa. Its fruits, rich in Vitamin C, are edible and grow in September and October. With the white flowers sprouting in spring or with the green leaves you can make infusions. Among the therapeutic properties of the blackthorn we remember the purifying, the diuretic, the astringent and the utilization for the treatment of pyrexia (fever) and sore throat. Helianthus tuberosus or topinambour: the tuber is edible and its roots can be cooked at the same way as potatoes. It’s harvested in the winter. It can also be eaten raw. It’s very nutritious. 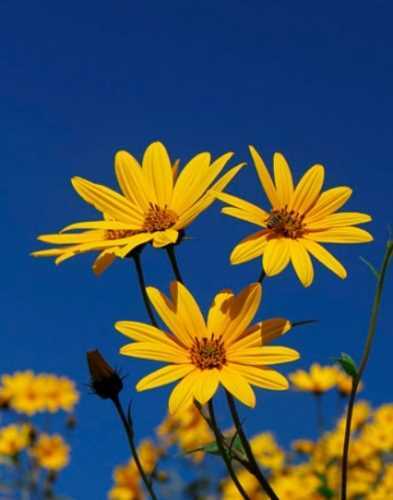 Helianthus annuus or common sunflower: known for its yellow large flower easily distinguishable (it blooms between July and October). The sunflower seeds are edible but their taste is not very good. With the pressing of the seeds you get the famous sunflower oil. 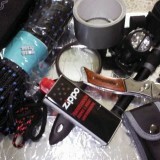 Manually it is very difficult to obtain satisfactory results, even with a good tool, you can produce very little oil after working hours.